Unearth is a newly launched environmental news journal published from the United Nations, New York City. Shared here is my first story published in the journal. You can read the original story here. This might spell bad news for the Indian film industry: Mount Kilimanjaro, considered by filmmakers as a picturesque location for song and dance sequences, is literally losing its cool status. The climate has been fast changing on the mountain, sending the mercury higher with every passing month and robbing the mountain of its fabled velvety green cover. Song and dance sequences are a signature feature in Indian movies, and, often a film’s success at the box office is decided by its beautifully choreographed songs, shot at scenic locales. For decades, Switzerland topped the list of Indian filmmakers’ favorite locations. But now Kilimanjaro also features high on the list, with several chart buster songs being shot around the mountain. 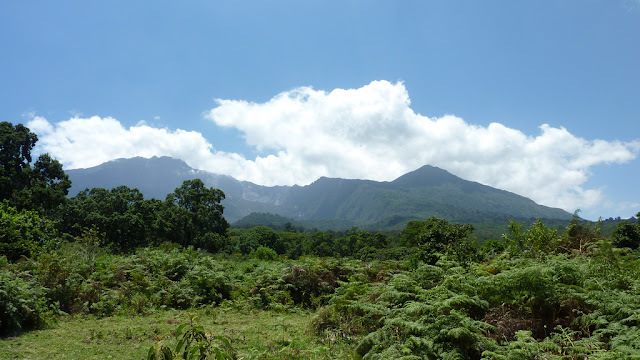 However, according to reports published by Tanzania Environment Journalists Association (TEJ), the temperature around Mount Kilimanjaro has been rising rapidly of late. The average temperature of the region used to be 27 degrees Celsius, but nowadays it is reported to be much higher. In recent weeks, Moshi town and Kilimanjaro International Airport (KIA) each recorded daily temperatures ranging between 33 and 36 degrees Celsius. Mfugale, who visited Kilimanjaro this month, says that water level has gone down by nearly 100 meters in Lake Jipe and Nyumba ya Mungu Dam in Mwanga District of the region due to scanty rainfall and rising temperatures. The shortage of rainfall and the prolonged dry season have depleted natural vegetation and soil cover. In recent years, Kilimanjaro has also seen massive deforestation which has contributed to rising temperatures. According to Professor Pius Yanda, a member of the Intergovernmental Panel on Climate Change (IPCC), deforestation has not been addressed effectively and temperatures are set to rise even higher if deforestation is not solved soon. In an effort to deal with the situation, the government has recently constituted the Kilimanjaro International Climate Change Centre – a body to hold consultations with various stakeholders and find ways to save the Kilimanjaro ecosystem. Headed by Professor Willy Makundi, who describes the environmental degradation in the region as “horrendous,” the center is proposing an immediate halt in logging activities and large-scale forestation program. One of the areas where big losses are likely to occur is inflow of foreign tourists, especially Indians. Taking note of the growing popularity of Bollywood films across the world, Tanzania recently started to woo Indian tourists under a new tourism promotion blitz dubbed “Think Asia,” that highlights cultural relations between the two countries. According to Makubo, in the last year there has been a 50 percent increase in Indian tourist inflow to Tanzania. With over 15 million Indians visiting other countries each year (the World Tourism Organization has predicted that India will account for 50 million outbound tourists by 2020), it makes good business sense for operators like Makubo to target Indians. When in the famous “Kilimanjaro song,” celebrated Tamil actor Rajnikath sang, “I fly with the air/I’m the king of this forest/Oh! How intoxicating!” millions of his fans dreamed of being in the same forest. But with the vanishing trees and soaring temperatures, it may not be long before that intoxicating effect evaporates into the hot air.